We have now completed the pumpkin harvest. Having cut them in the field several weeks ago and left them to cure they have all now turned a magnificant deep orange and have been collected together ready to go to Modbury Farm Shop at Burton where they will be sold for Halloween. We will keep a few here in case customers call by on the off chance, but they certainly make a very colourful spectical. We have also been busy this week harvesting squash. All the Uchuri Kuri (also known as Red Onion Squash) are now curing in the tunnel ready for sale, together with the stripey Delacata. 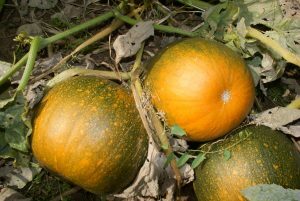 Whilst the majority of the Butternuts have been taken off the plants, there are still a few remaining which are ripening. 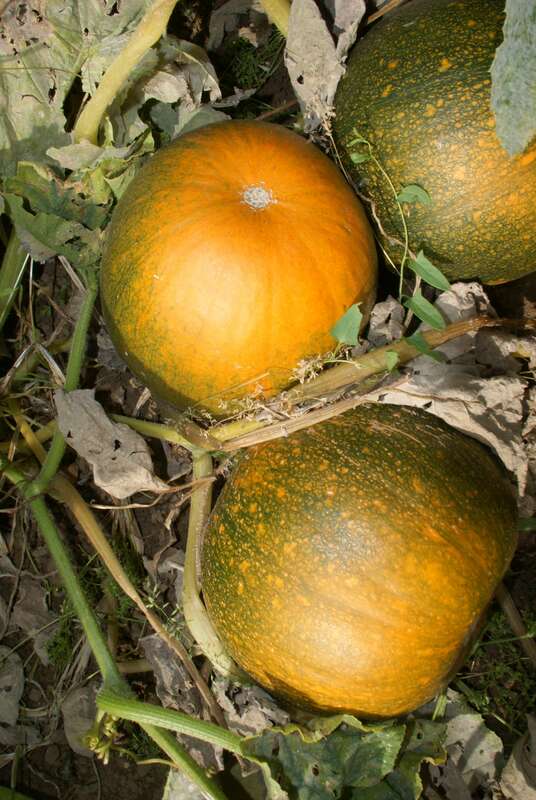 The Crown Princes, which must be the King of All Squash, have cropped well and they are in the field awaiting transfer to the poly tunnel next week.